Many times an invitation to a game night or a football party will include the phrase “a plate to share”. This usually means providing some kind of snack so that the host(ess) will not feel obligated to provide (and pay for) the refreshments for the whole group. The bonus feature is that is also ensures that everyone who attends will have something there to eat. The vegetarians will bring something that they like; the carnivores will do the same. If someone is eating a gluten-free diet, they will also bring something appropriate for themselves. Everyone wins! 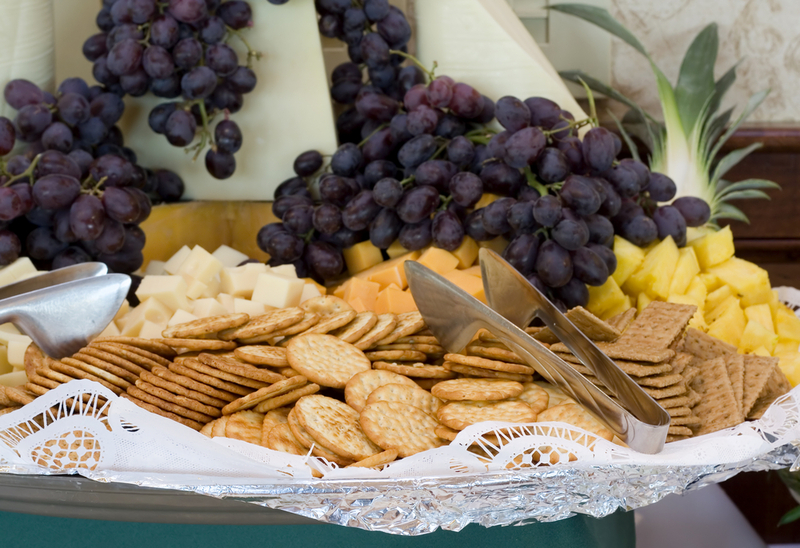 Fruit, cheese and crackers – Make sure to include a variety of cheeses in order to please everyone. Grapes and strawberries help keep the plate colorful and fresh. Veggies, chips and dip – There are so many options, it is almost endless. The veggies provide a healthy alternative to the chips, but sometimes a good crunchy tortilla chip just hits the spot. One of the most delicious dips I have ever taken is this Cilantro Cream Sauce. It is spicy and creamy and cool and amazing with chips or baby carrots. Crescent roll-ups – Do not think that this list is without carnivore options! These Mini Crescent Dogs are always a hit at any party. Made with just two ingredients (crescent rolls and cocktail sausages), they are quick and easy. Serve them with ketchup and mustard on the side for dipping. Open-faced sandwiches – These are easier to make than you think, and can be created with any number of ingredients. These Smoked Salmon Triangles combine cocktail pumpernickel bread, cream cheese mixed with caraway seeds, smoked salmon, and chopped chives. This entry was posted in Diet and tagged Beauty, beauty frizz blog, beauty tips, BeautyFrizz, cheese plate, Game Night Dishes, healthy food, lifestyle, lifestyle tips, Party, Party Food, Plate to Share, Veggies.